At KIS, my edtech team and I have had the task to find alternatives to re-imaging computers. Re-imaging is stressful for all involved. You want all of your computers up to date, with the software that is needed. With Re-imaging, computers are collected, connected to a server, and computers are overwritten. Folks often forget to backup their computers, tears flowing over lost data. I work in a 1:1 Mac environment, with many iPads. Many teen agers who are new to Macs, and often have a problem making sure their computer is up to date. A big issue: lots of iPads, in little hands. We are also trailing 1:1 iPads in grades 3 and 4 this year. My school also wanted an alternative to Apple Remote Desktop. 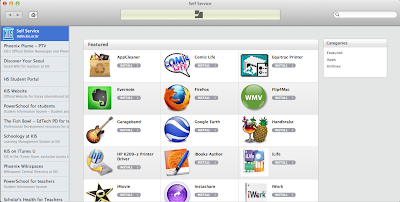 A system that allows for monitoring Macs. At my school, it did not work. Due to networking issues, it was nearly impossible to find all students in your class with ARD. We were able to find solutions, but ultimately, we chose JAMF software's "Casper Suite". After the first few days, mostly positives. 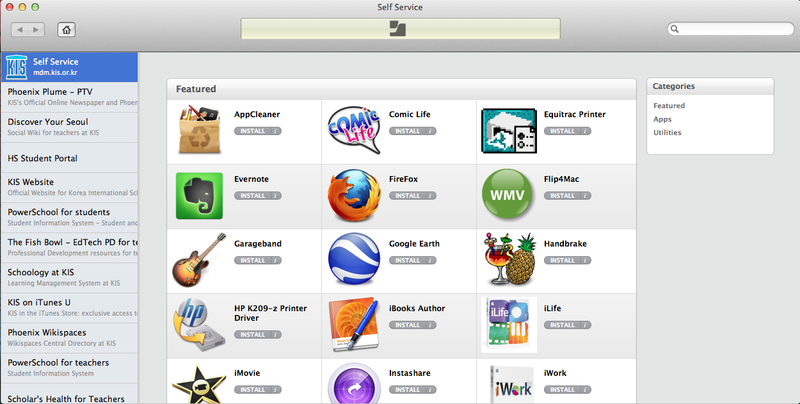 Staff now can download software from Casper's "Self-Service". A live demonstration of Macbook screen sharing was successfully shown to staff. Our server now is accessible from the homes of our staff & students. With Self Service and the control of JAMF's Casper Suite, we now can ensure that all computers download their updates. A policy has been added to the managed computers, to automatically download software updates. Which never could have been done with traditional re-imaging. Casper's Remote, allows us to "Screen Share" computers, Casper can also give us reports of suspicious activities. There are many ways that our Parents can feel that the Macs at KIS are managed well, now that we are running Casper. More to Come, including iPad Management with Casper.